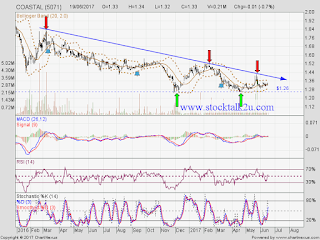 COASTAL forming double bottom @ RM1.26 ? Will it breakout descending triangle resistance level? Immediate support @ RM1.26 level. 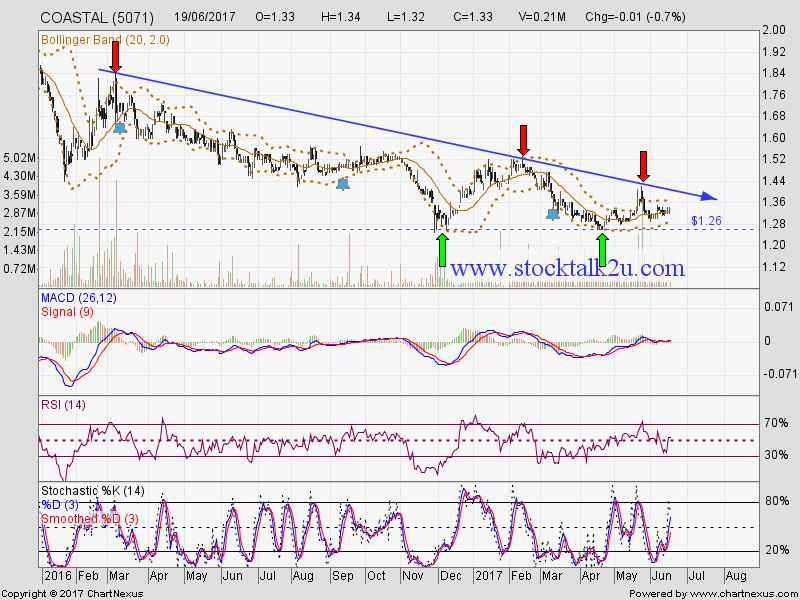 If break RM1.26 level, lower low is form. Downtrend will resume. Immediate resistance @ RM1.40 level. Subsequent resistance @ RM1.52 level.